It’s great to be needed. In every community, there’s an army of small business owners who keep everything running smoothly. Skilled tradesmen and other local service providers play a vital role in every city and town across America, and Viva Design Studio can provide affordable, attractive website options for almost any industry. A professional website can elevate your business to the next level, as well as becoming your virtual office and primary point of contact if you don’t have a physical storefront. If you own one of these businesses, we want to work with you! In the skilled trades, it’s just as likely that you’ll receive your next client via Google search as it is that you’ll get a referral from a satisfied customer. So it’s important that you cover all your bases – you need a solid online search strategy as well as a clean, professional website that shows off your business to its best advantage. We can build a website that suits your needs, big or small. Our sites are easy to use and they work perfectly on every mobile device. Viva Design Studio acts as the hub of a network of trusted digital marketing professionals that can keep your website looking great and your content up-to-date. We’ll act as the coordinator for your marketing efforts, and you’ll work directly with our associates for these additional services. For local services and skilled tradesmen, Google is a primary source of new business. Adam can help you create a powerful local search strategy that will put you in front of your ideal customers. He can also help with all your social media needs. If managing the website isn’t your cup of tea, Josh can help you with content updates as well as regular software updates and security upgrades. He’ll keep your site running with the same integrity and professionalism you provide for your own customers. 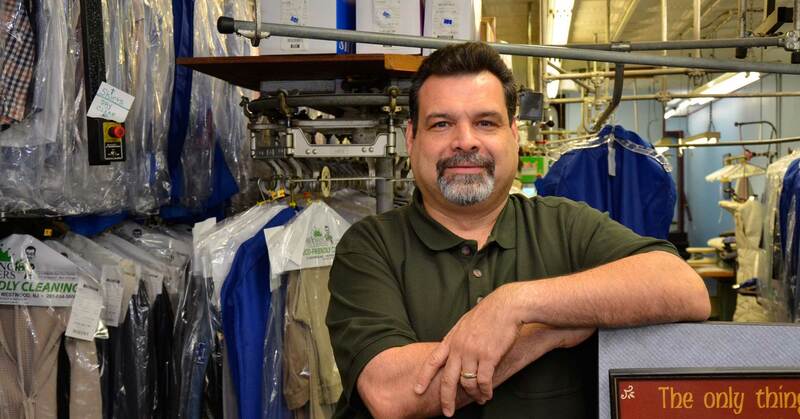 This local dry cleaner in Westwood, NJ, came to Viva Design Studio when he was ready to create a new online presence. His site is simple and attractive, and it checks all the boxes – it provides critical information about pickup and delivery, information about their organic cleaning process and other specialty services, and links to download the Sir Francis Cleaners mobile app, which allows customers to schedule, track and receive notifications about their orders from their mobile phone. Ready to take your local service’s online presence to the next level?